British MPs vote by a majority of 285 to 272 to reject possible military action against the Assad regime. British MPs voted on Thursday night to reject possible military action against the Assad regime in Syria to deter the use of chemical weapons. A government motion was defeated by 285 to 272, reported the BBC. Prime Minster David Cameron said following the vote that it was clear Parliament does not want action and "the government will act accordingly." The move effectively rules out British involvement in any U.S.-led strikes against the Assad regime. It comes as a potential blow to the authority of Cameron, who had already watered down a government motion proposing military action, in response to the opposition Labour Party's demands for more evidence of Assad's guilt. MPs also rejected the government's motion in support of military action in Syria if it was supported by evidence from United Nations weapons inspectors, who are investigating claims President Bashar Al-Assad's regime had used chemical weapons against civilians. Earlier, Cameron argued in favor of international intervention in Syria in a lengthy Parliament debate but failed to convince his opponents in the Labour party and Independence party (UKIP). Defense Secretary Philip Hammond confirmed following the vote that Britain would not be involved in any military action against the Assad regime - but said it would probably go ahead in any case. "I expect that the U.S. and other countries will continue to look at responses to the chemical attack,” Hammond said, according to the BBC. "They will be disappointed that Britain will not be involved. I don't expect that the lack of British participation will stop any action," he added. Hammond said he and the prime minister were "disappointed" with the result of the Commons which he said would harm Britain's relationship with Washington. Russian President Vladimir Putin told Cameron earlier this week that Russia has no evidence of a chemical weapons attack having taken place in Syria or who is responsible. The two leaders held an urgent phone call on Monday afternoon regarding the Syrian crisis in the wake of a sniper attack on UN chemical inspectors outside Damascus. 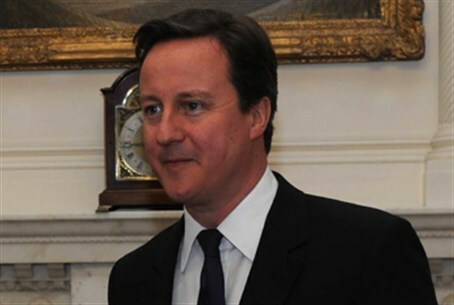 Cameron stated that he was sure the alleged attack was instigated by Assad’s government forces, saying that he believed the opposition did not have the capacity to carry out such a strike. “The regime had also prevented UN access in the immediate aftermath, suggesting they had something to hide,” he told Putin. It remains unclear how the vote in the British parliament will affect U.S. President Barack Obama’s decision to strike in Syria. Obama seemed determined earlier in the week to strike in Syria as a warning to Assad for crossing the red line of using chemical weapons, but on Wednesday the American president told PBS that he had not yet decided whether to carry out such a military strike.